Gives students an awareness of the world in which we live and our responsibilities as inhabitants of this world. Contains dynamic faculty that instruct and mentor students. Prepares graduates with analytical and critical thinking skills necessary for most scientific careers. Boasts graduates who have been accepted into some of the country's top universities and programs for the health professions and other graduate studies. Includes career preparation as physicians, veterinarians, optometrists, physician assistants, pharmacists, chiropractors, nurses, and more. Develops an appreciation for our scientific heritage and the value of science as processes that are useful to our understanding of our world and ourselves. Cooperates with the Education Department to offer secondary subject endorsements in Biology Education, Physical Science Education, and Natural Sciences Education, as well as endorsements in science for those majoring in middle school education. Allows for any of these bachelor degree programs to be obtained with an Athletic Training Emphasis. 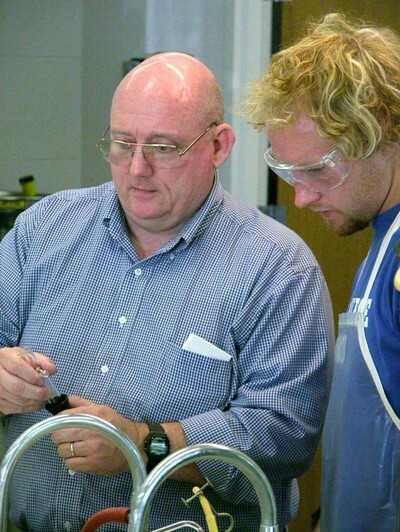 York College is partnering with several universities to offer a Dual Degree in engineering. In this program, you complete three years at YC, earning credits in science, math, computer science, and general education courses. Then you transfer to a partner school for two years of focused courses in engineering. You will graduate with two bachelor’s degrees: a Bachelor of Arts in Natural Science from York College and an engineering degree from the second college. Graduates of the Dual Degree program are highly sought after, as they are liberally educated engineers. Dual Degree students possess strong communication and problem-solving skills, and a broad background in the humanities and social sciences, as well as high-quality technical education. Not only do you get to enjoy the benefits of attending a Christian college, but completing an engineering degree this way COSTS LESS, too! ​Each school of chiropractic has its own specific requirements. It usually requires two, three, or even four years to meet the pre-professional prerequisites for chiropractic colleges. Students planning to go into chiropractic work should work closely with their faculty advisor to insure that all pre-requisites are met. The student who is planning a career in dentistry should be familiar with the requirements of the specific professional school of their choice. Typical admissions requirements of schools of dentistry can only be met with at least three years of college work, with a strong preference for a baccalaureate degree. The student can meet admissions requirements with the B.S. in Biology degree plan. ​A student planning to enter medical technology must complete three years of college, a minimum of 90 semester-hours, before admission to the professional program. Such students should enroll in the general liberal arts program. In addition they should complete BIO 154, 312, 314, 324 and CHM 214, 224, 314, and 325, plus three hours of appropriate mathematics. Some of the science courses can be planned for the junior year. The student should be familiar with the requirements of the desired school of medical technology/allied health. York College offers a BS in General Science with an emphasis in Chemistry/Biology. Students are encouraged to consult closely with their faculty advisor in planning their programs to make sure that all pre-admission requirements are met. The student who is planning a career in medicine should be familiar with the requirements of the specific professional school of their choice. Typical admissions requirements of medical schools can only be met with at least three years of college work, with a strong preference for a baccalaureate degree. 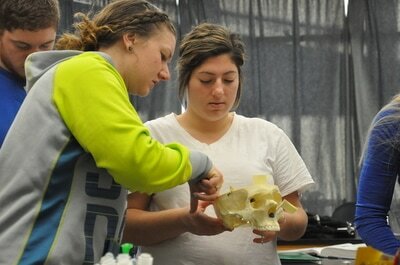 The student can meet admissions requirements with the BS in Biology program. ​The following is a typical pre-nursing curriculum. If the student knows which professional nursing program he/she will be attending, the prerequisites for that particular nursing school can be identified and the pre-nursing program can be tailored to fit. ​The student who is planning a career in Pharmacy should be familiar with the requirements of the specific professional school of their choice. Typical admission requirements to pharmacy programs can be met with three years of college work. The student can meet admissions requirements with the BS in Biology program. ​The student who is planning a career as a physician assistant should be familiar with the requirements of the specific professional school of their choice. Typical admissions requirements of P. A. programs can only be met with at least three years of college work, with a strong preference for a baccalaureate degree. The student can meet admissions requirements with the B.S. in Biology program. The learner will understand and analyze biological, chemical, and/or physical systems. 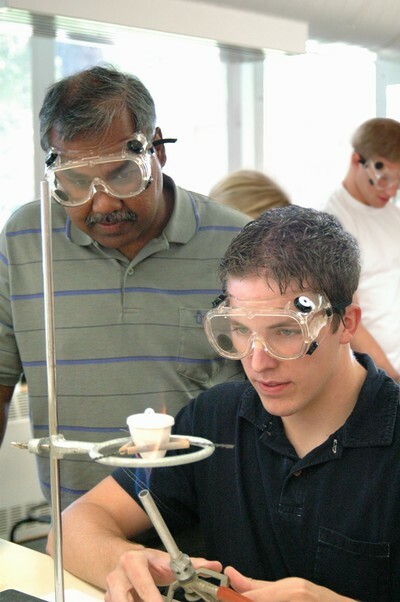 The learner will demonstrate safe, responsible, and ethical laboratory techniques. 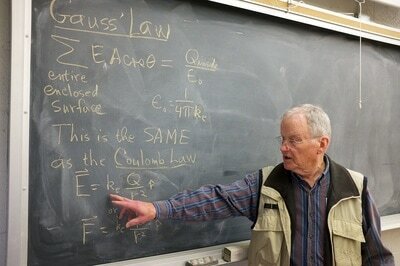 The learner will be prepared for entrance into scientific field, or graduate school, or professional programs.